Western experts assess the Syria’s situation and future based on the actual correlation of forces of the opposing parties and the nature and the extent of the support their allies provide. 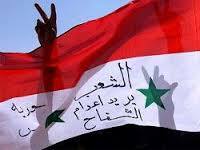 Virtually all agree that Syria’s regular army remains powerful and capable of defending large areas. The army still exhibits overall cohesion and is defending the large cities. It still has more than 200,000 soldiers of different faiths despite desertions and casualties, and not all of its units have been involved in the fighting. There are a total of about 80,000 soldiers (mostly Alawites) in the most effective and combat capable units, with the Republican Guard and the 4th Tank Division comprising its strike force. These forces are highly trusted by the regime, as witnessed by the tripling of their monthly salary since 2012. The decision by Syria’s leaders to form the paramilitary National Defense Army (NDA) in January was an important step in managing the urban fight against the rebels and jihadists. It combines the Peoples Committees, with their self-defense paramilitary groups in city blocks, and the Shabiha — the pro-government militias. The NDA currently numbers more than 50,000. Hezbollah, whose military wing has 2000-4000 professional soldiers and several thousand reservists, provides substantial support to the Syrian authorities in the effort to regain control of areas captured by the opposition. Hezbollah units have helped shift the balance of forces in some areas (Homs, which has access to the Mediterranean coast, and the Damascus suburbs) to the government’s favor and interdict rebel supply lines. The Iranians are playing an increasingly prominent role in the Syrian conflict. In addition to Iranian economic and military-technical assistance to Damascus, the Islamic Revolutionary Guard Corps is also engaged. They are currently providing personal security for President Bashar al-Assad and his family and performing communications intelligence and spoofing against rebel groups. Iranian advisers are also working in army headquarters at various levels. Shiite militants of the influential Iraqi religious leader Muqtada al-Sadr have recently been observed participating in operations against Sunni Islamist and jihadist groups. - Islamist and Jihadi groups (Jabhat al-Nusra; the Salafist coalition Syrian Islamic Front, which consists of 11 groups; the Liberation Front, which includes Ansar al-Islam, Ahrar al-Sham, the Deir ez-Zor Revolutionary Council; and others) which control much of the hydrocarbon-rich eastern areas of the country. The armed anti-regime opposition, which lacks unified leadership and a well-thought-out plan of action despite attempts to coordinate operations, remains fragmented due to serious (often irreconcilable) religious and political differences; competition; open hostility among leaders; and material, financial and other types of dependence on donors that sometimes pursue their own goals. Practices introduced by Islamist and Jihadi groups in regions they control cause people to leave and reduce the amount of support they initially received. The situation in and around Syria leads me to conclude that a long-lasting impasse has developed due to the failure of either party to the conflict (the regime or the opposition) to reverse the correlation of forces to its favor in order to begin the “political game.” This scenario of fruitless confrontation may last a long time, cause Syria to self-destruct and, most dangerously, spread the ethno-religious conflict to neighboring countries with all of the negative consequences that entails for the region. Western experts believe that the best option for resolving this impasse may be a “precision operation” to eliminate Assad and his inner circle by US, British and French special operations forces already deployed in Turkey and Jordan. Israeli special forces who have extensive experience conducting covert operations in Syria and Lebanon could also take part. The fact that Jordan has already granted Israel two air corridors for drones to fly to Syria confirms that to some extent. It will probably take place under the guise of a humanitarian operation to stop the Syrian government from using chemical weapons against its own people (which comes under the heading of war crimes and crimes against humanity) and present chemical and advanced weapons from falling into the hands of Hezbollah and Islamists. The international campaign unleashed by the United States, Britain and France to accuse the Syrian government of using chemical weapons against its own people suggests it is likely that such an operation is likely to happen. On April 25, Washington acknowledged or the first time that the Syrian authorities have used chemical weapons, and London has said it has “limited but persuasive information” that the nerve agent sarin has been used. Republicans in the US Congress have officially declared that the Assad regime has “crossed a red line” and are demanding that Barack Obama take urgent and strong action. V. D. Bugrov is an expert on the Middle East. This article was written expressly for New Eastern Outlook.